But life often gets the most of your time. That gives you more energy, more 'glow,' and more strength. That's why we meet you where you’re at, and stretch you to push past what you thought possible! We take a holistic approach to wellness by teaching mindset, movement, and nourishment. Our work is about finding the balance between intense physical exertion and relaxation. It is about learning to move with accurate precision, fluidity, and mindfulness. It is about deepening your "tuning-in muscles" so you can choose the best, most energizing habits with ease. Look back to learn how to move forward. To be fit, you must be able to focus, to move well, and to breathe well. To get fit, you must build and maintain a strong foundation, both internally and externally. Zenon was the Head Performance Coach of Golf & Body NYC and a Tier 3 trainer at Equinox. 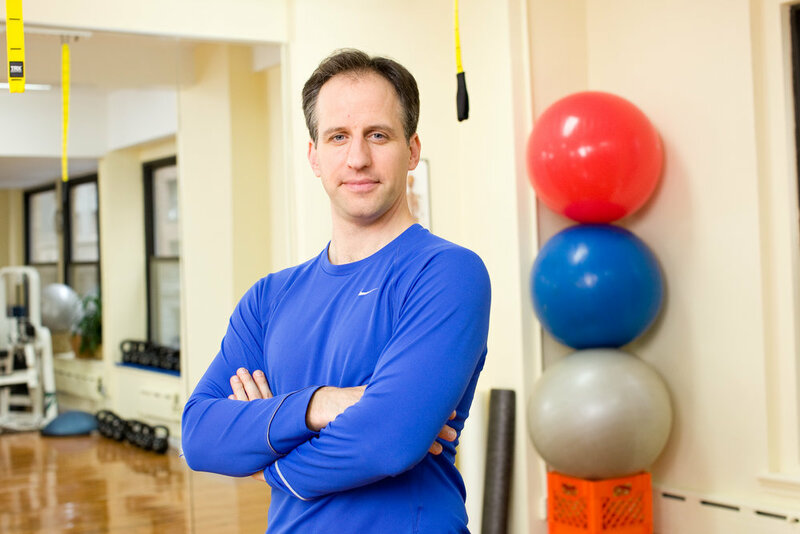 He is a certified personal trainer through the National Academy of Sports Medicine (NASM) and the Chek Institute as a corrective exercise coach and Golf Biomechanic. He is a level 2 certified Kettlebell instructor through CrossFit’s head instructor Jeff Martone of the Tactical Athlete and Jason C. Brown of Kettlebell Athletics and Pre and Post Natal Certified through Annette Lang. Most recently he has spent over a year and a half working with Ben Shear, a national leader in sports performance training. Zenon’s movement background started in hockey and was followed by Chinese Martial Arts. Both hard and internal styles of Gong Fu have laid the foundation of his holistic and acute style of coaching movement and pain relief. Balanced by western exercise science, clients experience the familiarity of American exercise protocols while benefiting from the Eastern style training of breath, focus and choice. Tysan has been a fitness and wellness professional since 1997. Her approach to fitness incorporates breath, accuracy, agility, functionality, and focus. First educated as a personal trainer at New York University, Tysan has gone on to get certified in many modalities of movement and health coaching--including yoga, pilates, gyrotonic™, pre/post natal, and corrective exercise, functional nutrition, and transformational coaching. 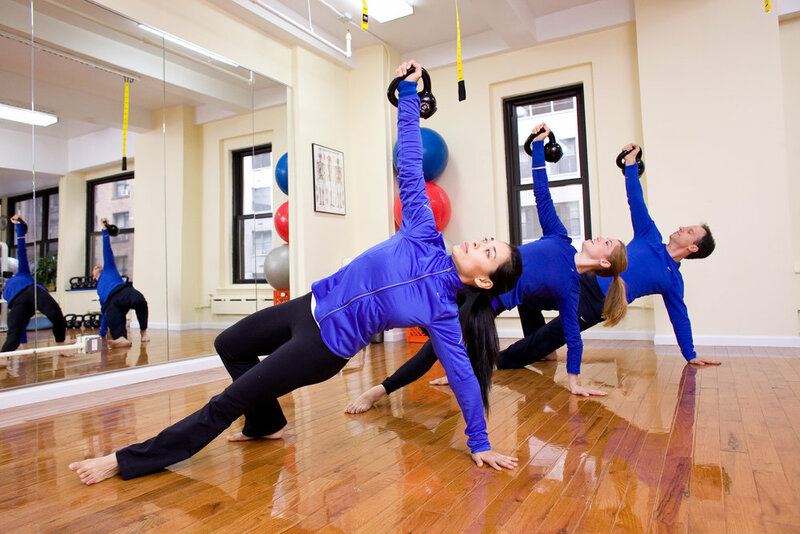 Tysan has worked as a top teacher and trainer NYC at Reebok Sports Club, HBO Corp, Crunch, and moved on to run her own practice in NYC before moving online. What makes working with Tysan unique is that she was a professional dancer, and integrates all her movement training (which she received from masters at the top of their field) with a solid exercise science training model. She is also a highly trained coach, so she helps her clients get out of their own way with the help of her coaching skills. Western exercise science focuses on soliciting “adaptation” while eastern science utilizes understanding and applying the principles of change. Balancing the two approaches helps you to reach your goals and understand why.